If feeling authentic and booking higher-paying clients is something you struggle with, my friend, Maria Bayer of Learn. Collaborate. Flourish. 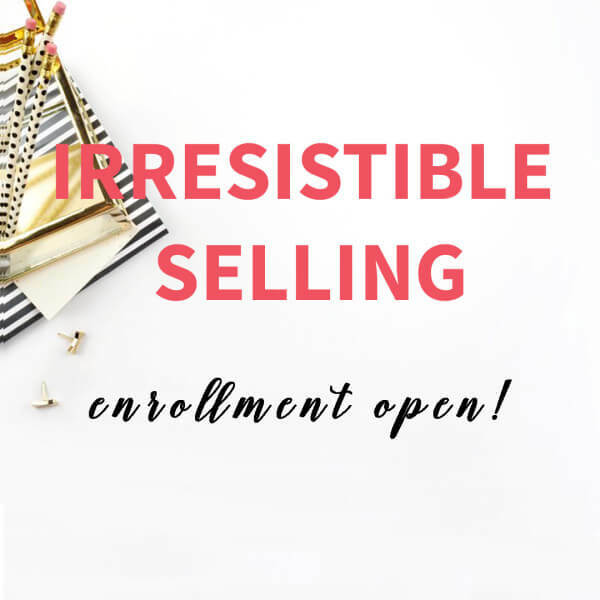 helps creative entrepreneurs with this all the time in her Irresistible Selling Program. – And Never. Discount. Again. The live program is only offered once a year, so get your spot while you can! Open enrollment runs from Thursday, November 20 – Sunday, December 10, 2017. To book, click here.